"Well made, water tight, easy to put up"
"Happy with quality of purchase and easy to put together"
The 8ft x 8ft Walton's Corner Premier Summer House has a unique appearance and build that will become an instant focal point in any garden. This summer house is constructed from high quality shiplap tongue and groove cladding to offer extra durability and superior weatherproofing. The roof and floor of the summer house are made from tongue and groove timber for added stability and strength. These tongue and grooved timber panels are further supported by a chunky 27mm x 32mm framing. The beautiful floor to ceiling frontage and side panel windows allow you to have a full view of your garden and it also helps keep the building light. Our Reply:I am sorry that you were not happy with your building and unfortunately some errors do slip through our QA system. We are looking at ways to stop this. Review:Where is the quality control in this company??!?!!! Two floor sections not cut straight so a gap in the floor - can see ground underneath! Our Reply:I am sorry that you had such problems with your purchase. I believe that you have been speaking with my colleague Kirstie and have come to a conclusion in this matter. Review:Value for money, this is the second building I have bought from Waltons. 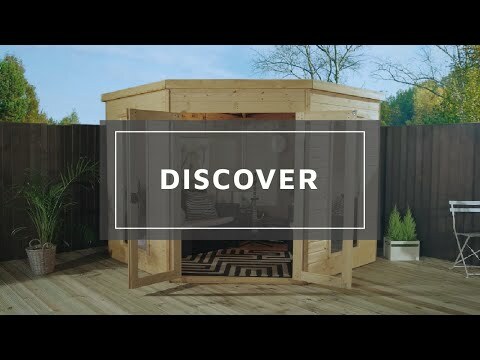 I am thrilled knowing you are so pleased with excellent value of your summerhouse and I am sure you will have many happy years of use from it. Thank you again for your great review. Review:The same as provided in previous. Review:Split wood and foot prints, poor finish of woodstain. 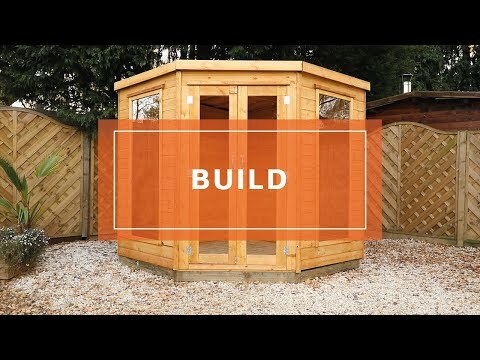 We're sorry to hear your summerhouse is not quite up to the standard we would expect, if you require any replacement parts we are happy to help, our telephone number is 01636 880514. I am pleased that you have found a Summerhouse replacement within your budget. Review:Love my summerhouse, but it took hours to build as it was all of. Not made great as there are spaces between my doors hope the rain doesn't get in. Review:Everything as expected but some minor damage on parts of the shed. I am delighted to know that you are pleased with the quality of your summerhouse and that assembly was straight forward. Thank you again for your great review! Review:This has not been erected as yet but will contact you later when all is in place. Seems good value for money. I am glad you think your summerhouse is good value for money and I am sure that once erected, you will be very pleased and have many happy years of use from it. It is wonderful to know that you are very happy with your summerhouse and that assembly was straight forward. Thank you again for your feedback. Review:Just what we wanted . Easy to assemble . Our Reply:I am thrilled that you are happy with your tongue and groove summerhouse and that assembly was straightforward. Review:excellent product would recommend this item to anyone looking for a summer house. Our Reply:I am so pleased that you are happy with your tongue and groove summerhouse and that you would recommend the product due to it's excellent quality. Thank you again for your feedback. Review:Would have liked a key hole cover which would make it look better, esp as it was the premier one. Our Reply:We take your comments on board as we are always looking for ways to improve our service. Thank you again for your review. Review:Lovely summerhouse, very pleased with it. Easy to build, which took half a day as we took our time. Instructions could have been better. Treatment all completed as well, which was very easy to apply. Our Reply:I am glad you are happy with your summerhouse and I am sure you will get many happy years of use from it.